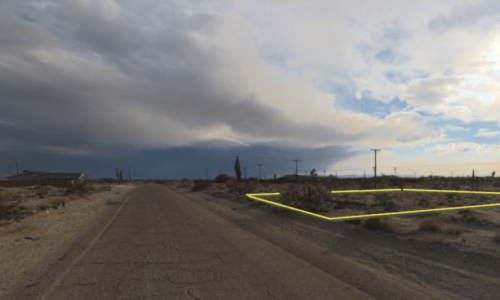 You are here: Home / Listings / California City CA – Building Lot w. SEWER!, Nature in Backyard with Yerba Rushe Creek, Scenery & Greenery! Lot in desirable north part of town with nicely kept homes on the street. This property is unique and of greater value because the zoning allows for a single family home or you can have a duplex on the land for investment opportunities! There are well-kept homes across the street, water to the property line, electric access just one pole away from the lot AND something most areas of California City don’t have – a sewer. 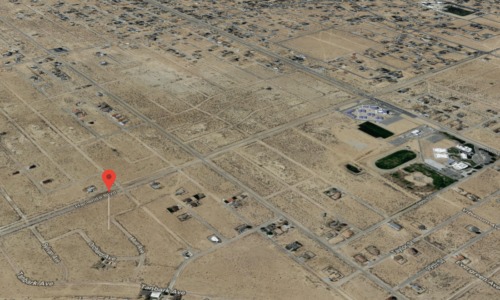 This property has sewer access in the street and that means you can develop it into a single family home OR a duplex (California law – duplex and multi units must be on sewer, can’t be on septic, meaning most multi-family zoned lots in California City can’t be developed because they don’t have sewer access). This land backs up to the Yerba Rushe Creek (Rush with an “e”), adding seasonal bird watching, desert greenery and appreciated privacy to the property. Plus you are close to the main street, California City Blvd, as well as Central Park and other amenities. Comparable lots in this area are going for $9,000 and up to $15,000 on Zillow and you still have to pay title and escrow fees, unlike with this property. Take advantage of this lot with utilities available and almost unheard of sewer access to the property line, ready for a new custom home, manufactured house, or duplex! 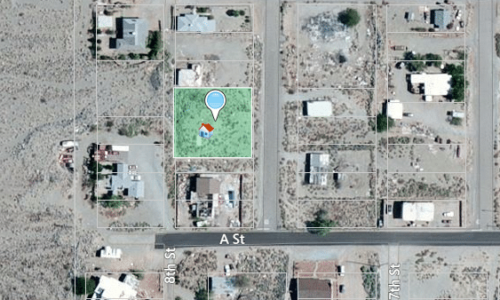 ZONING: R1/R2 Single Family Residential Home or Duplex allowed! *All listing information is everything we know about the property and believe to be accurate, however, each customer must do their own due diligence and verify the details and information important to them in making a decision to purchase property.